Well, I did my Thanksgiving grocery shopping. It's... well, I'm having 2 Thanksgivings, so there's that. Turkeys, dressing, potatoes, sweet potatoes, stuff to make glazed carrots, rolls (from scratch), and a couple pumpkin pies. Because, you know, if anything's worth doing, it's worth doing right. But that's for Thursday and Friday. For right now, we've got reviews. So let's get to it. Today we have: Robots Love Ice Cream, Acquire, Bloodborne: The Card Game, The Arrival, Trick of the Rails, Great Western Trail, 7 Wonders Duel: Pantheon, Inis, Fabled Fruit, Ticket to Ride: Rails & Sails, CO-OP: The Co-op Card Game, Star Trek: Ascendancy, Terraforming Mars, Hit Z Road, Hocus, Ta-Da!, Legends Untold, and Ominoes. Money, money, money, money, moooooneeeeeeeey! That's basically the Ferengi national anthem. For them, it's all about what they can make money off of and how can they get it as cheaply and easily as possible. And that's just what they'll do in order to expand their reach in Star Trek: Ascendancy when their expansion set comes out. It's that set which we get a look at today. And we've once more made it to the weekend successfully. The natural order has been maintained. I mean, just think if we woke up the day after Friday and it was, like, Wednesday or something. Man, that'd be a mess. But, as I said, that's not happened. As such, we should get on with the regular Saturday routine and get you some reviews. Today we have: Kill the King, Captain Sonar, Jonathan Strange & Mr. Norrell, Mansions of Madness 2nd Edition, The Dragon & Flagon, No Honor Among Thieves, Via Nebula, Behind the Throne, Star Trek: Ascendancy, Antarctica, Costa Rica, Heroes of Normandie iOS, Lost Woods, Battle Gnomes, and Ice Cool. I said the other day that this weekend is going to be crazy with everyone getting any sort of last-minute things ready for the show. That includes letting people know what sort of things will be waiting for them when they get to a particular booth. Also, that includes me taking a Saturday to share all that news coming in with you. It's cool, though. Gamers, on the whole, are pretty cool people, especially guys like Peter over at Gale Force Nine. He's posted up what they'll be bringing with them to the show and wanted me to share. So here you go. We all know that Gen Con is coming up in a couple weeks. But it's not the only big event being held on August 3-7. If you're not going to Indy, but instead are going to Vegas, you can take part in the huge Star Trek Las Vegas event happening there. 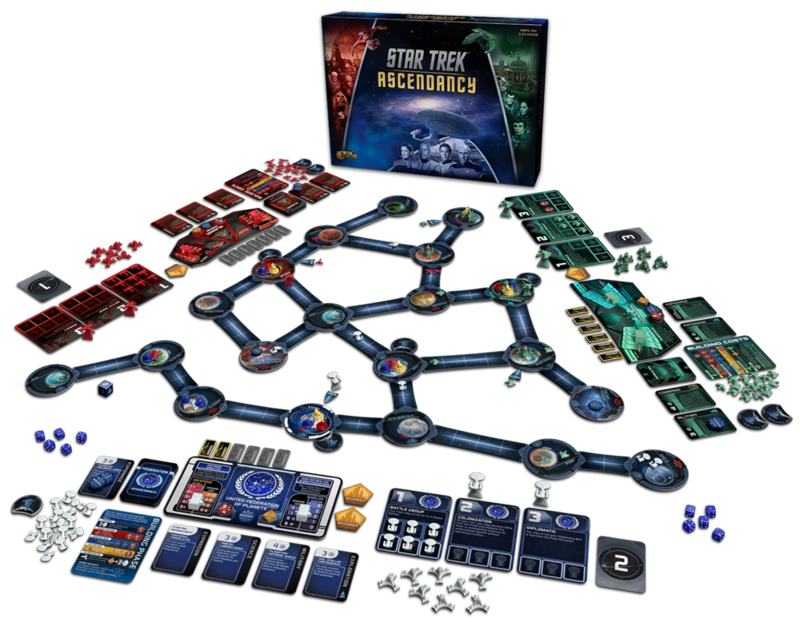 Gale Force 9 will be attending both, and they'll have special versions of their Star Trek: Ascendancy game with them. "Try before you buy." "Take a test drive." "First hit's free." Words to live by (Well... maybe not that last one). We all know my fondness for companies that post rulebooks for their games online. 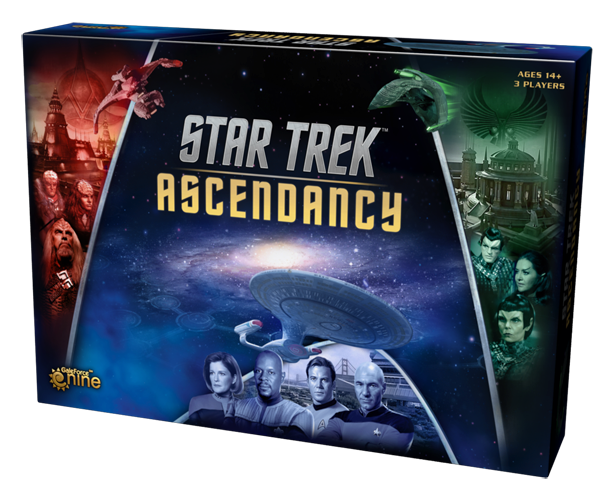 The fine fellows over at Gale Force Nine have done just that for Star Trek: Ascendancy, their upcoming board game of sci-fi conquest. 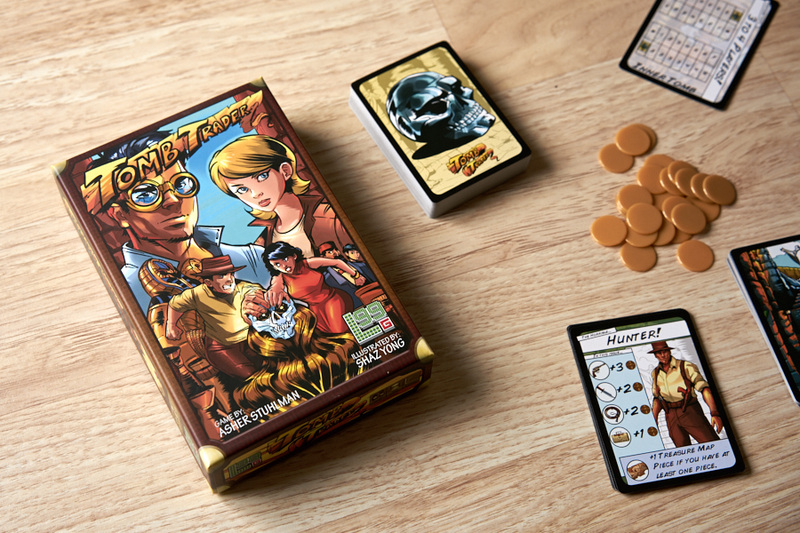 The rulebook is now up online for your downloading and reading pleasure. As you should hopefully know by now, Gale Force 9 is coming out with a new Star Trek board game this summer. 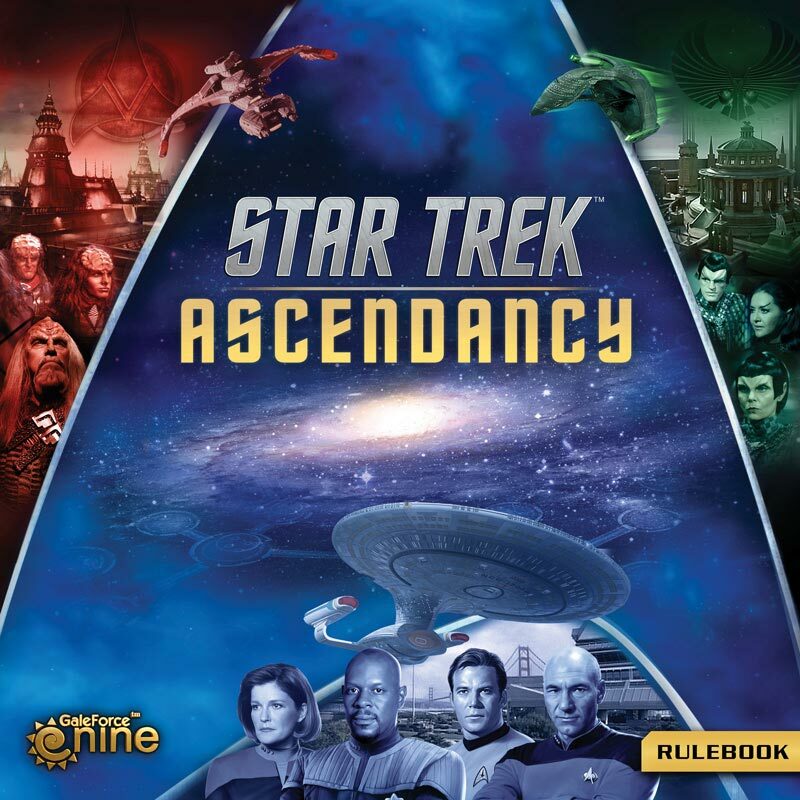 It's called Star Trek: Ascendancy and it puts you in charge of an entire race in the Star Trek universe, each one of you trying to control as much of the galaxy as possible. Well, along with the game, certain sets are labeled 50th Anniversary Issue sets and will come with extra cards. Gale Force Nine is coming out with a new Star Trek game this summer. It's called Star Trek: Ascendancy and it's a bit different than most of the other Star Trek games out there. Others tend to focus on just the Federation, or put you in charge of a handful of ships. In Ascendancy, you are in control of an entire civilization. The base game has the Federation, the Romulans, and the Klingons, whom we get a preview of today. Attack Wing isn't the only Star Trek game we've got a preview of today. Gale Force Nine is also working on their own Star Trek Game. Ascendancy will be coming this summer. 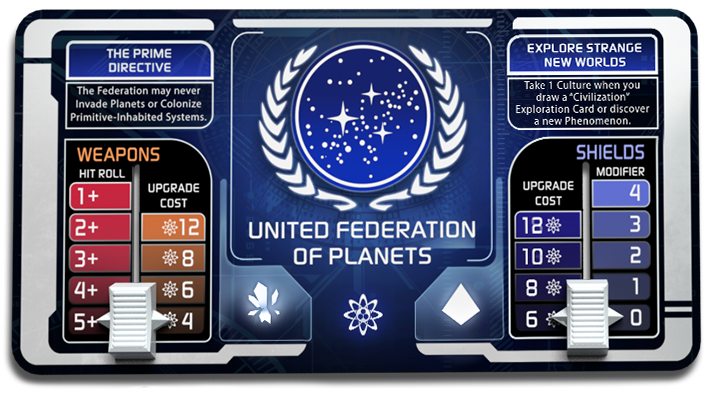 In it, you'll take control of one of the major races in the Star Trek universe and compete against each-other, exploring and expanding your territory. 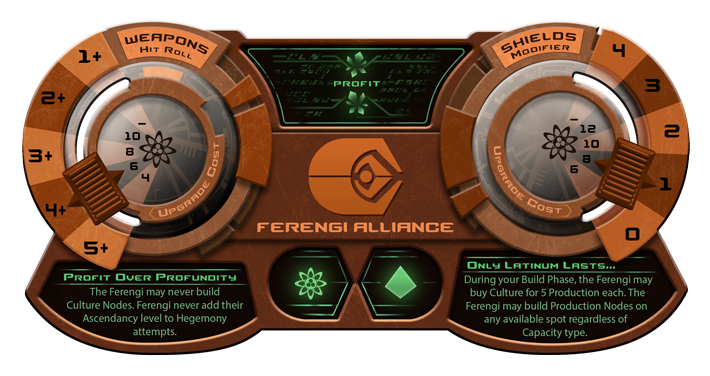 Well, today we get a general look at three of the races and an in-depth look at the Federation. Gale Force Nine has announced a brand new Star Trek game that they will be releasing later this year. 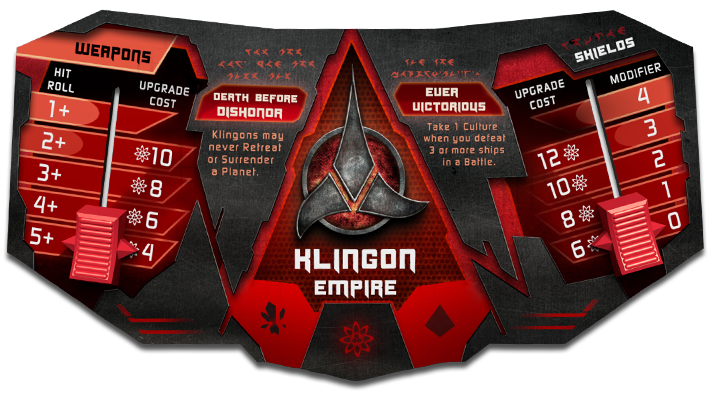 Star Trek: Ascendancy takes players to familiar places in the Star Trek universe, but it a new way. Don't just control a ship or even a fleet of ships, but be in charge of an entire species as you look to expand out among the stars.